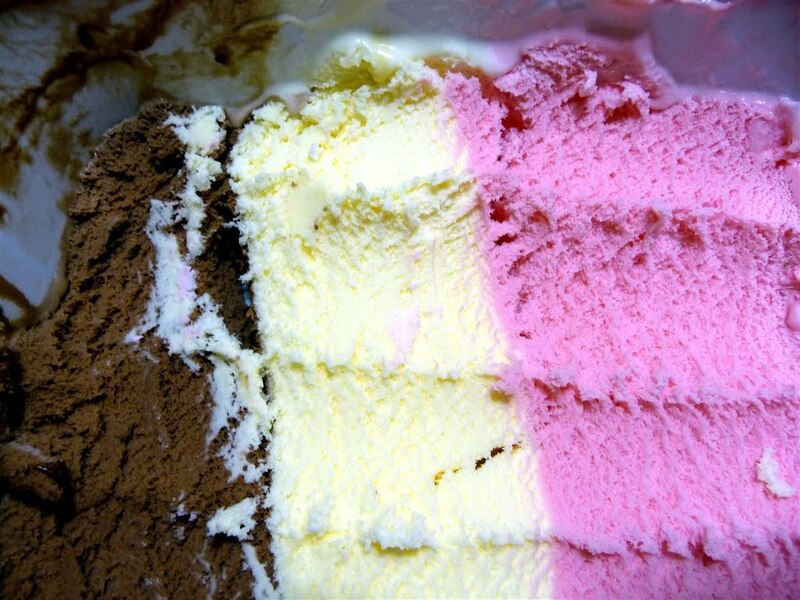 Growing up there was only 2 flavors available in the Neapolitan ice cream. Mum would purchase an extra large tub of Neapolitan ice cream once a fortnight and my Dad would come home from shift work and have a bowl of ice cream. 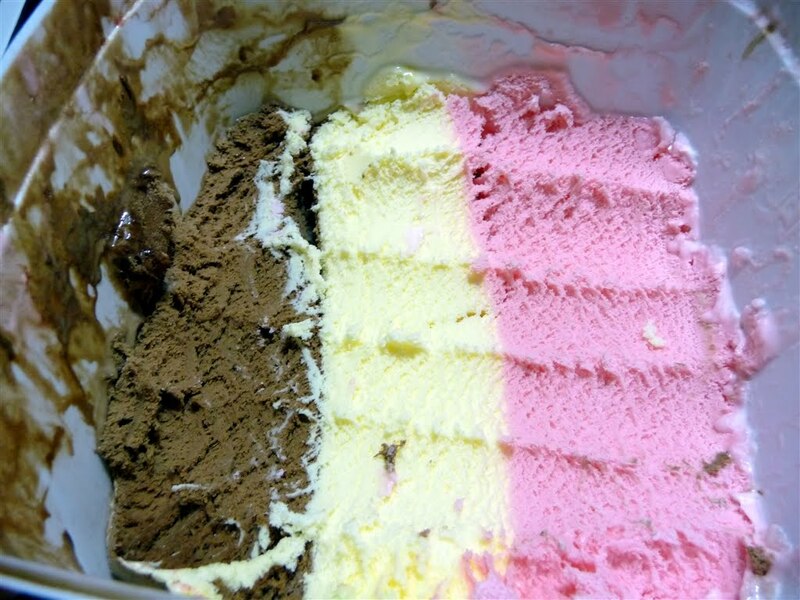 The chocolate section of Neapolitan would be gone within a couple of days and us children would be eating pink and white. Recently my Dad brought Neapolitan ice cream into my house and I had fun teasing him about eating all of the chocolate section when I was a young child. I was sure he would use a knife to cut out the chocolate section because there was never a smidge of chocolate left on the white ice cream. It was torture having this ice cream in my house because I was strict so that we all got equal amount of chocolate, white and pink ice cream. In the pictures you will see prefect scoops across all three flavours. Don’t call me crazy, we all had to get equal share, otherwise we would have been left with pink only. Am just trying to save my children from any ice cream traumas. How unfair is this? When you eat past half way the ice cream tub there is less chocolate and more pink. No it is not an optical illusion, there is definately less chocolate. My childhood trauma is back all over again. Dad you know what I say is true and I know you will be chuckling about your midnight raids on the chocolate ice cream. From now on I will only buy vanilla ice cream and then I wont care how it is scooped out of the container. yes this is a familiar story for me too! My dad also seemed to think the chocolate belonged to him. Yep, I too buy vanilla, I now think this decision is trauma based! Love this post! Have enjoyed reading your blog!